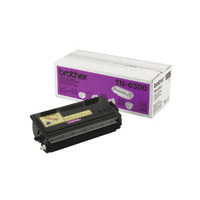 Brother HL-1030/Multifunctional 9000 Series Black Toner Cartridge TN6300 Pack of 1 Brother TN6300 Toner to fit HL1030/1240/1250/1270N/ HL-1230/1440/1450/1470N/P2500/9650/N/8350P/8360P/8750P/NLT/MFC-9650/9660/9660/ 9750/ 9870/9880. HL1430 Page yield 3000. 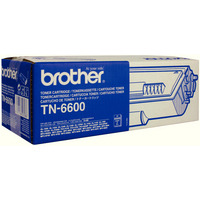 Brother HL-1030/Multifunctional 9000 Series High Yield Black Toner Cartridge TN6600 Pack of 1 Brother TN6600 High Yield Toner to fit HL1030/1240/1250/1270N/HL-1230/1430/1440/1450/ 1470N/P2500/9650/N/8350P/ 8750P/NLT/MFC-9650/9660 /9750/9870/9880. Page yield 6000. 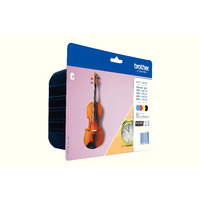 Brother Drum Unit DR241CL Pack of 1 Brother Drum Unit for use on HL-3140CW, HL-3150CDW, HL-3170CDW, DCP-9020CDW, MFC-9140CDN, MFC-9330CDW and MFC-9340CDW printers. Approximate page yield: 15,000 pages. OEM: DR241CL. 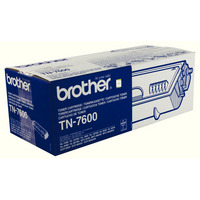 Brother TN7600 Black Toner Cartridge High Capacity TN-7600 Pack of 1 Black laser toner cartridge. Premium quality Brother ink. High print yield of 6,500 pages. Quick, fuss-free installation. For use with the HL-1650/1670N/1850/1870N/5030/5040/5050/5070N, MFC-8420/8820D/8820DN, DCP-8020/8025D/8025DN. Brother LC-127XL Cyan/Magenta/Yellow/Black High Yield Inkjet Cartridges (Pack of 4) LC127XLVALBP Pack of 1 Brother High Yield Ink Cartridge Value Pack for use with DCP-J4110DW, MFC-J4610DW, MFC-J4410DW, MFC-J4510DW and MFC-J4710DW printers. Contains one of each LC-127XLBK, LC-125XLC, LC-125XLM, LC-125XLY. Yield of approximately 1200 pages (each).